This restaurant Flank Steak Recipe symbolizes one of the great pleasures I've had over the past 30 years of being in the restaurant business. I have met and worked with many competent chefs (and a few who were not) who have generously shared recipes and experiences. This marinated steak recipe was given to me by one of those "guest" chefs I met. This restaurant recipe is the one still used at the restaurant for grilled or broiled marinated flank steak. It is a favorite restaurant beef recipe. The marinade makes it so. Can you believe a chef going by the name of "Dash?" I know that was not his real name, but he liked it because he said every chef likes to add a dash of this or a dash of that to make a recipe his or her own. 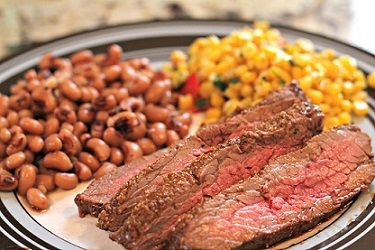 So thanks to chef Dash, here is a wonderfully delicious Restaurant Marinated Flank Steak Recipe. And yes, the marinade recipe is critical, and so is not over cooking the steak and making certain you are using quality beef. 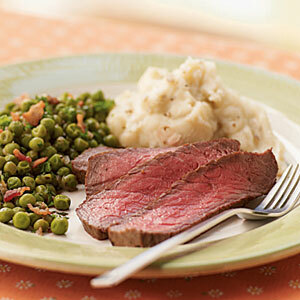 "London Broil" is a cooking term referring to the way the meat is often cooked. "Flank Steak" is a cut of meat that originated in the United States in the 1930's. 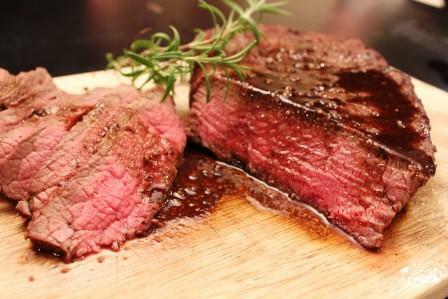 The preparation of London Broil typically involves marinating the meat for several hours or more and then cooking it in an oven broiler or on a grill. 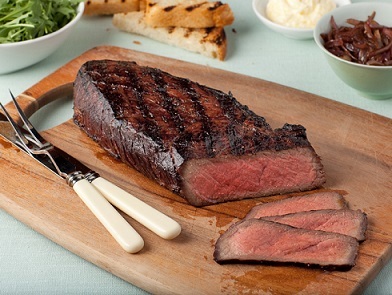 It is usually served in thin slices ("London Broil"), cut across the grain at a 45 degree angle across the grain. 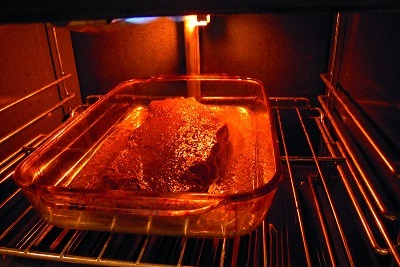 Preparation time: 15 minutes after marinated and cooked. A 1 - 2 pound piece must marinade over night. Approximately 4 servings. Combine all these wonderful ingredients into a large enough pan or container to marinate the amount of meat you are preparing. Enjoy your restaurant flank steak recipe and the company of those you share it with!